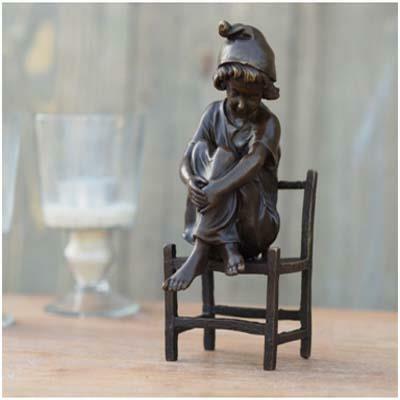 Attractive and heart-warming figurine for the home. Girl delicately sitting on a chair with her gaze focused on the cat sitting below on the ground. Hot casted solid bronze figure is 6 inch tall. Will arrive very well protected inside large polystyrene casing.